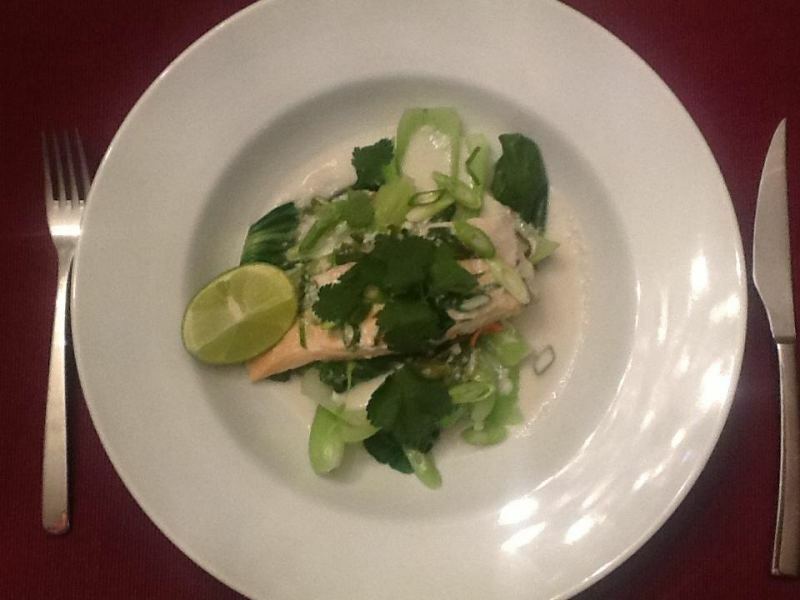 Simple and delicious Salmon fillets poached in coconut cream and served with a side of greens. Serves 2. 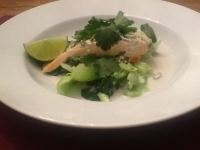 Bring coconut cream to simmer in a small pot, add a dash of lime juice and stir for a few minutes. Put some baking paper in a baking dish, place salmon with a pinch of salt and pepper. Pour the coconut cream over the salmon and sprinkle the spring onions over the top. Cover with aluminium foil and bake for 10-12mins. Serve with your choice of steamed greens.